Whether it's a cup from a store, or powdered, I can't deny my love for milk teas. Actually, over the past year, I think I've already consumed nearly a hundred servings. 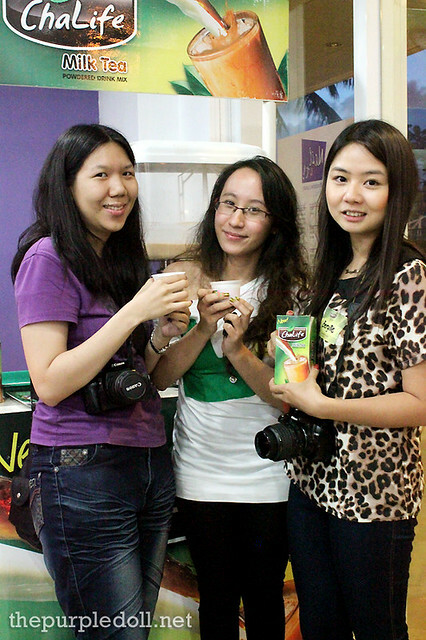 So when I was invited to attend ChaLife Milk Tea's launch, I didn't even have to think. It was a yes! 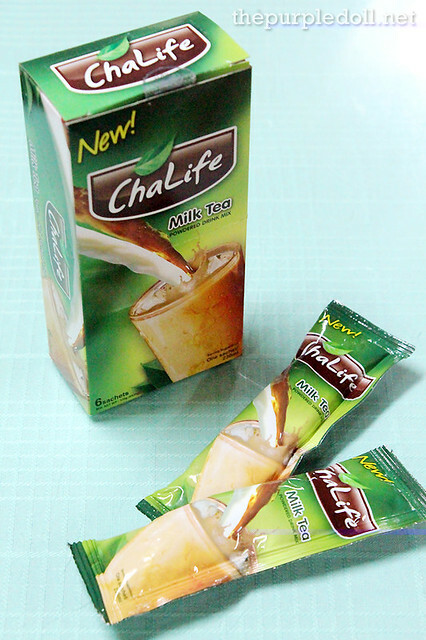 ChaLife Milk Tea is a new brand of powdered drink mix geared towards milk tea fans who want their glass of milk tea pronto. While the variety of milk tea flavors from shops is enticing, waiting in line for a couple of minutes to nearly half an hour is an inconvenience. Plus, if you're someone like me who lives thirty minutes away (light to moderate traffic) from the nearest milk tea shop, going out at night to get a quick fix is such a big hassle. And this is where powdered milk teas come into picture. While I honestly prefer milk teas made from freshly-brewed tea, it's good to have the convenience of powdered counterparts to satisfy that sudden craving. 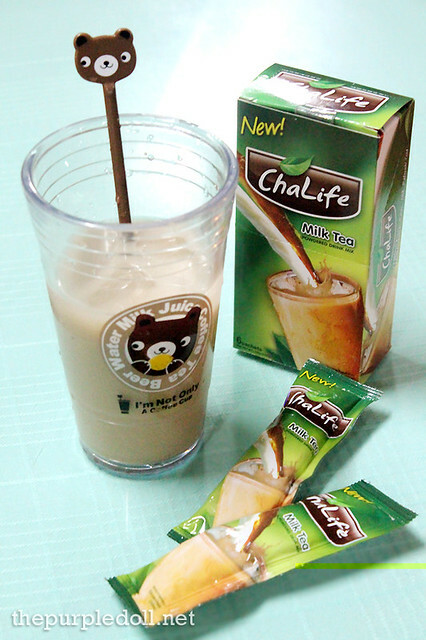 Every box of ChaLife Milk Tea contains 6 single serving stick sachets, while every stick is good to fill a conventional glass. If you're a long-time reader, you've probably noticed that my first ever Daily Quickie post is on Lipton's Milk Tea. And being a regular Lipton Milk Tea drinker, I think it's inevitable to do this, so let's make a brief comparison. I won't choose which between the two is better, 'cause I actually prefer ChaLife when I drink it cold with ice, and prefer Lipton when I drink it hot. I guess it's because ChaLife's formula better suits a cold serving (plus it's perfect for a glass), while Lipton's is geared more towards hot beverage drinkers (its serving size fits a cup). 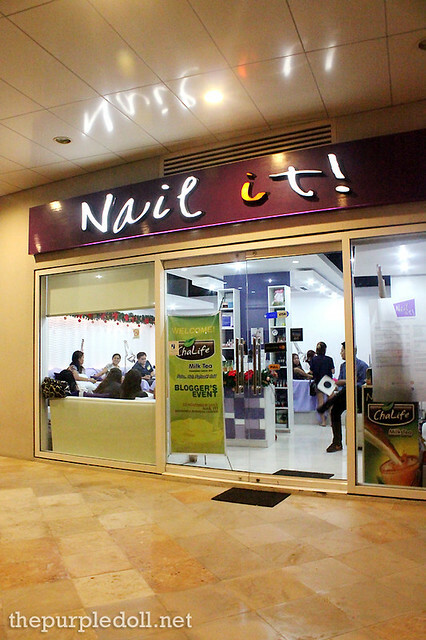 With ChaLife Milk Tea, we were relaxed and refreshed while getting pampered at Nail It! 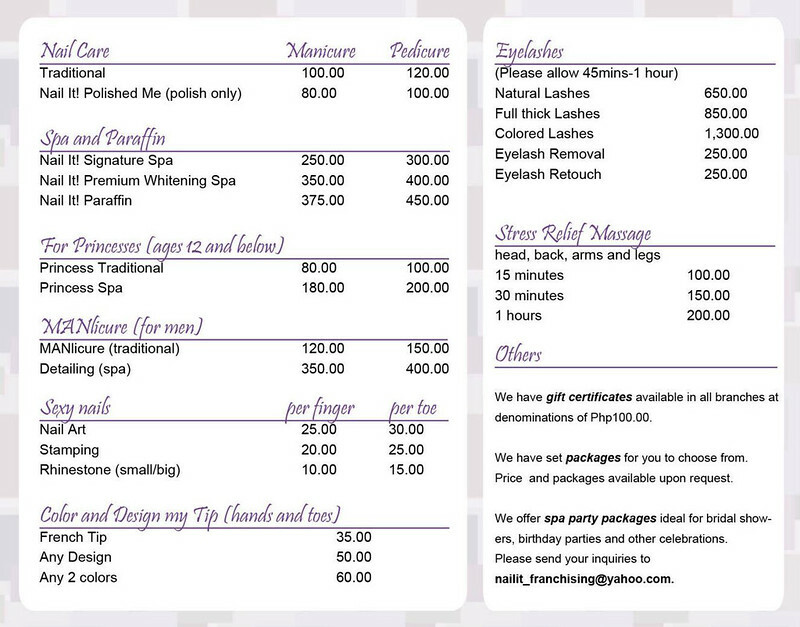 Salon in Rockwell Business Center, Ortigas where we're treated with a choice of manicure, pedicure or foot spa. And oddly enough, all 3 of us chose to have manicures. 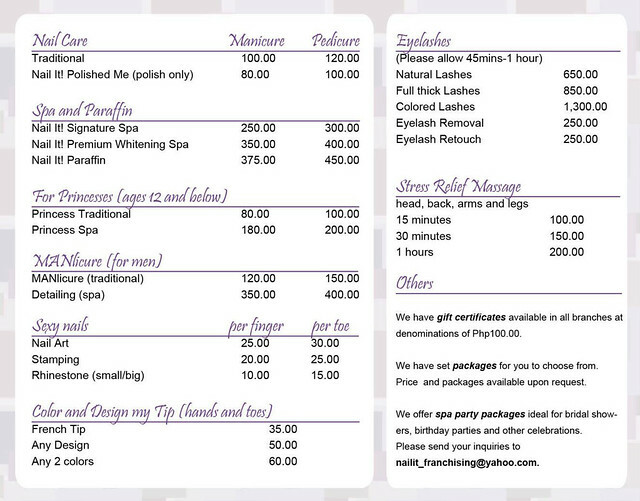 Click the price list photo to enlarge. For my manicure, I chose an Orly nail polish in It's Not Rocket Science color. It's basically a grass-olive green color with a gold and blue multichrome glitters. It was really pretty, and can look like green and even gold depending on where the light hits your nails. nice note comparing it to Lipton which I usually buy. now i can enjoy cold tea even when at home. very helpful post sumi, thanks! Oh this looks very promising, though I haven't chanced upon it at the supermarket. I'll look for this next time I shop.